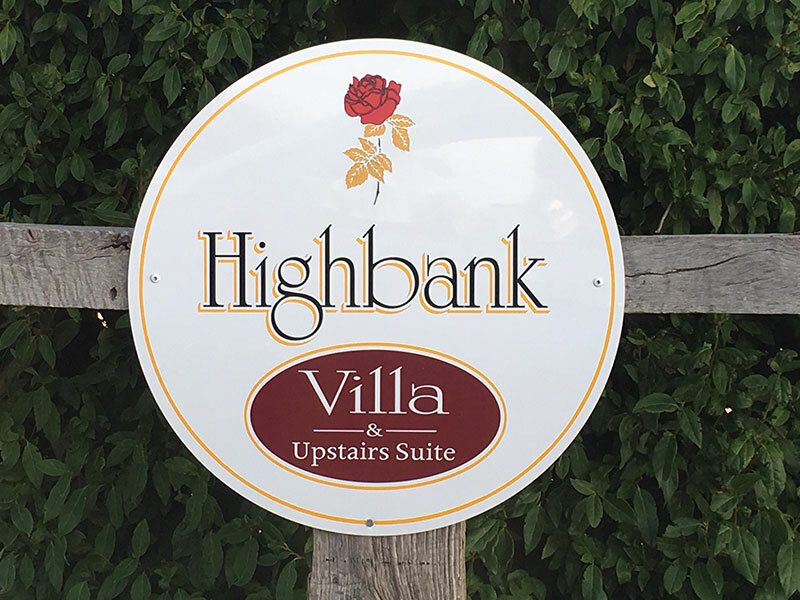 Highbank Vineyards is located centrally in the famous terra rossa soil strip, lying approximately 5kms from the village of Coonawarra and 5kms from the historic township of Penola. Approximately 380kms south east of Adelaide, the capital of South Australia, and 480kms from Melbourne, the capital of Victoria. We are almost midway between Adelaide and Melbourne if driving the Great Ocean Road. 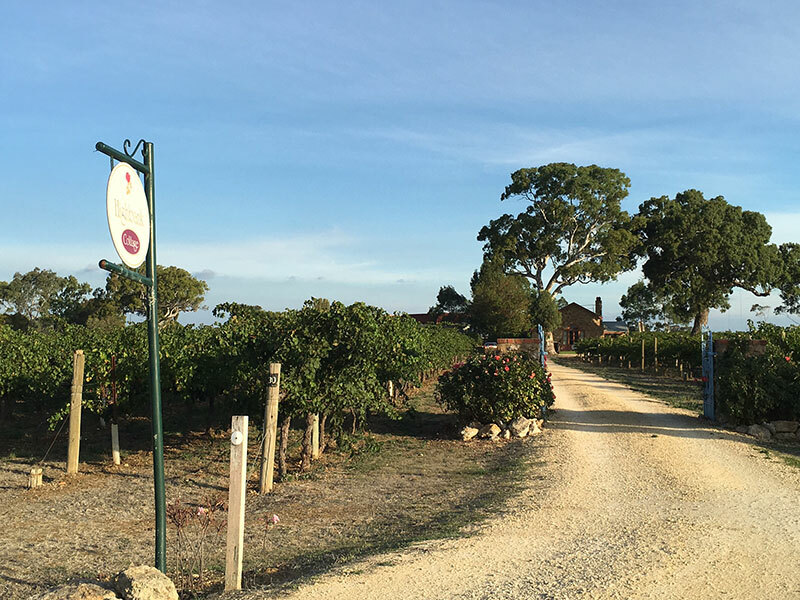 Coonawarra and Penola are located within the region known as the Limestone Coast, which is a rich and prosperous area, stretching from the Glenelg River on the Victorian border, up to Tailem Bend and back to Bordertown. Within the Limestone Coast are many grand tourist attractions and no matter where you are, you are never more than 120kms from the ocean. Come into Coonawarra on Riddoch Highway 5kms from the village of Coonawarra and 5kms from the township of Penola. Property is located between Katnook Estate winery and Leconfield winery on the western side of the Riddoch Highway. (There is a brown and white South Australian Govt highway sign that says Highbank on the corner), TURN THERE to the WEST which is the Maaoupe Road and you will see the two story ‘Villa’ building of Highbank on the corner. 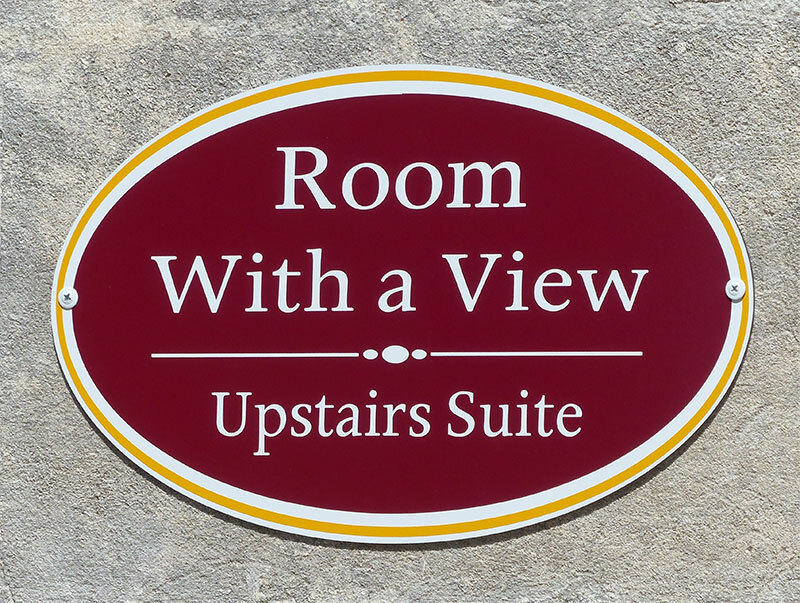 If you are staying in the ‘Cottage’ drive pass the ‘Villa’ for an additional 50 meters and take the next turn to the left into the private driveway. You’ll see the sign Honeysuckle Rise ‘Cottage’ with blue gates with paddock stone as an entrance. The Penola Racecourse is the stunning backdrop for South Australia’s “best country race meeting”, a day not to be missed! With over 3,000 visitors each year, come and experience a fun-filled day with fabulous local food, fine wine, fashion and friends. The Annual Taste Festival will be an explosion of tastes, continuous music and activities from the bountiful Limestone Coast Region. Held in the town of Naracoorte this wonderful celebration offers visitors exquisite tastes from over 25 of the regions award winning wineries, gourmet food producers, music and entertainment. The Annual Coonawarra Classic Clash Petanque Tournament is held at the piste, in the Coonawarra Park. The Classic Clash has become a highlight of the national petanque calendar, with some of Australia’s best players coming from Adelaide, Melbourne, Sydney and the Limestone Coast to compete in this prestigious event. A great day of racing in Penola – what better way to spend Easter Sunday than amongst the vines of the Coonawarra? Watch some fantastic racing while the children enjoy the entertainment at the track. A great family day out. Experience all the thrills, excitement and the lights of vintage as Coonawarra wineries open their doors to visitors at the peak of the grape harvest (vintage). Take a tour of a working winery, meet and chat with the winemakers, watch the grape harvesters in action, enjoy our wonderful local produce and sample our region’s finest wines. The Coonawarra Vignerons dig out some treasures from their cellars to offer visitors a rare opportunity to taste and buy aged wine during the month of July. This will be the ninth consecutive year that Coonawarra Cellar Dwellers is being held in a move by the Vignerons to attract visitors to the region at this traditionally slow time of the year. 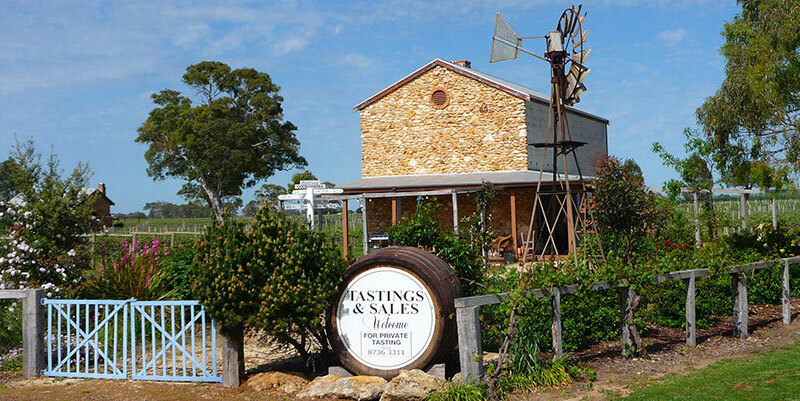 Coonawarra wines are well known for their aging ability and Cellar Dwellers provides our region with an opportunity to showcase wines that are otherwise not available for tasting. This event is attracting growing interest particularly from people looking for the opportunity to try something a bit different. It is a wonderful way to spend a couple of days escaping from the hustle and bustle to taste, discuss, learn and importantly relax. The famous Coonawarra wineries under the banner of the Coonawarra Vignerons Association, pack their bags to showcase their wares at this very popular and celebrated event. With over 100 wines to enjoy from individual Coonawarra wineries, you will have the opportunity to taste the wines and meet the winemakers and owners behind these famous Coonawarra brands, in your own city! The highlight of the Coonawarra calendar, this weekend celebrates all that is Coonawarra Cabernet Sauvignon with an array of special events, including a Masterclass, Tutorial and Retrospective Barrel Series Tasting. With many of Coonawarra’s wineries also staging their own fantastic events, this is a weekend not to be missed! If wine means everything to you, then heaven on earth is in Penola! Highbank Wines is nestled deep in the heart of the Coonawarra and produces single estate wines that perfectly showcase terra rossa-influenced terroir, making them sought after by wine lovers all over the world. Grown without the use of chemical herbicides, insecticides or fertilisers, matured in French oak, and with decades of Limestone Coast winemaking experience, means Highbank Wines are a must for your cellar. For the full immersion experience, come and stay on the Vineyard in one of our two romantic guest retreats for an escape into the realms of pure indulgence in the South East of South Australia, halfway between Melbourne and Adelaide!